Friends, that stayed in our house a while during our vacation, brought me a strange gift: a pile of 20 LP’s that once belonged to their neighbour. That old lady had died and since she had nobody to clean up her house, our friends did that. The LP’s were mainly in the genre that James Last and Vicky Leandros operate in, and i don’t think i will keep one of them. But, of course, before i do these LP’s away (anybody interested in James Last?) i take a look and a listen, because experience has learned me that there are always surprises. And, as some of you may know, i do have an interest in James Last. And there were 11 James Last LP’s in this pile. 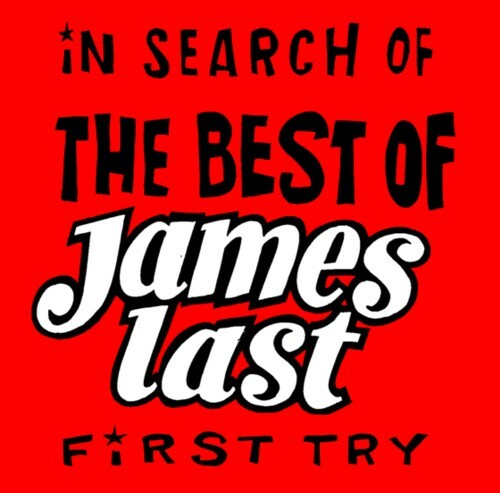 Many years ago i was puzzled by the fact that James Last seemed to be the best selling recording artist for at least 25 years while i didn’t like his music at all. But i realised that i had listened to all his music. And since his records were easy to find for little money i decided to listen to all of them. It turned out that the man has recorded hundreds of LP’s and i soon realised that it would take me the rest of my life to finish this project. After that i kept on finding records that i had not yet heard, and occasionaly i found songs that will be on the second try to make the ultimate James Last compilation. In the pile of LP’s that once belonged to Ursula Ulmer there were no interesting new James Last discoveries. I wouldn’t mind some help to finish this project, because it is beginning to weigh a bit to heavy on my shoulders. James Last seems to be a pretty nice and interesting guy, by the way.Very different from what i first expected, based on his music.